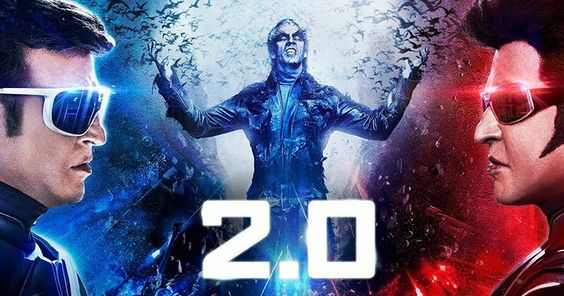 Shankar’s magnum opus 2.0 is one of the most awaited film for millions. Let’s see what Shankar has loaded in store for us. This celluloid extravaganza is produced by Subashkaran of Lyca Productions. Nirav Shah ha handled the lens, AR Rahman has scored the music, Antony has performed the edits and Resul Pookutty has taken care of the sounds. The film starts off with a suspense ridden suicide post which the much awaited issue of mobile phones vanishing into the sky happen. This situation creates a panic and the government decided the take countermeasures. Here is where Chitti is brought back and from there it is completely between Chitti and the superpower. The Superstar has pulled off Chittis role with the same flamboyance, attitude and mannerisms like he did in part one. Amy Jackson as Nila, the robot assistant has played her part well. She looks great and perfectly fits the role of a robot. Resul Pookutty has done a fabulous job terms of sound mixing. It can be bst felt in the 4D sound facility that’s only available in very limited theaters. Art Director Muthuraj is one of the crucial team member who has made this great attempt look stunning. The lab designs, robotic suits, robotic parts, public area look fantastic. The screenplay in the first half is superfast and in the second half it is totally Chitti-Villain bout. AR Rahman, once again, has done magic with his music.It adds the needed tempo and energy to the film and scenes. The flashback phase hold a great significance in almost every Shankar’s film and it is the same here as well. Verdict: A fantastic Rajinikanth entertainer and a must theater watch.